Bought it from another Swedish guy a couple of years ago. Dont know how it came to Sweden. 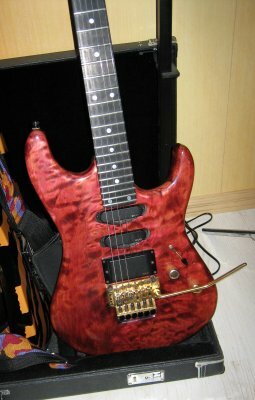 Maple body, 7/8, maple birdeye neck ebony fretboard, rear routed, not sure of the name of the color, EMG89, SA, SA. Modified with a Schaller tremolo.